This review almost didn't happen because of a couple different reasons. 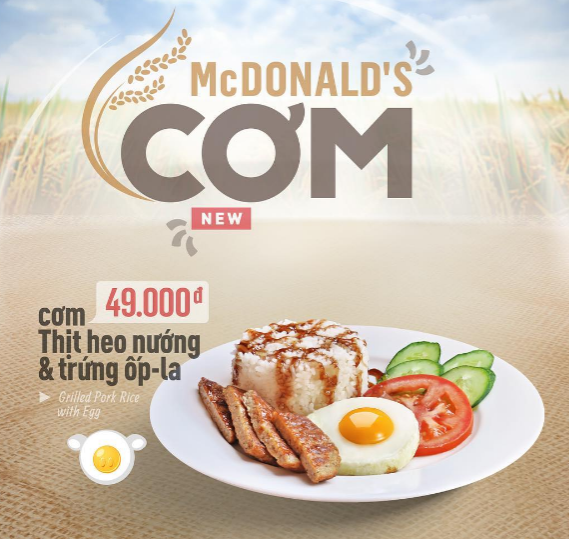 First was that I was actually supposed to fly out the day before after a long few days in Vietnam which I had absolutely no time to visit a McDonald's. Out flight the night before ended up getting cancelled, so we had to scramble to find a hotel for one more night. 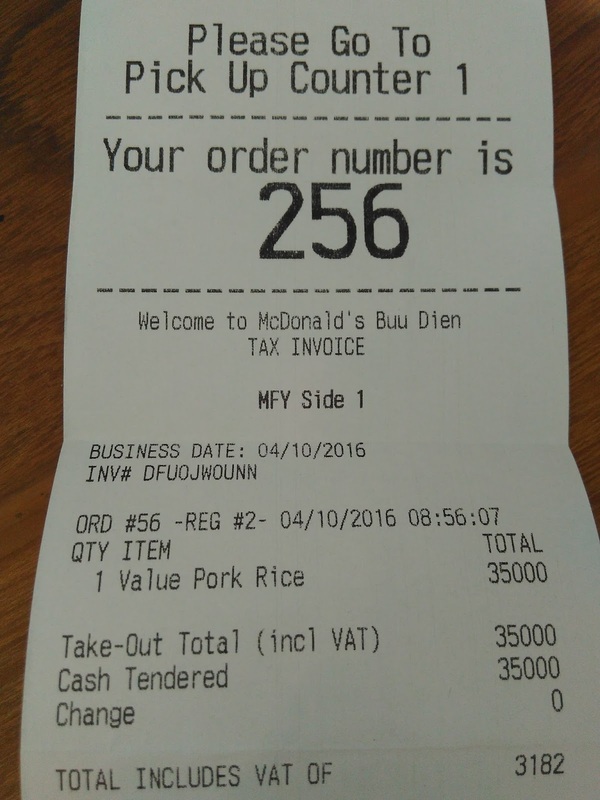 The hotel we ended up at happened to be pretty close to the McDonald's next to the central post office (the same one I reviewed the Vietnamese Coffee at last time I was in Ho Chih Minh City) and I debated either taking a scooter taxi there and back before heading to the airport to catch our new flight, or just asking the Uber to stop en route. 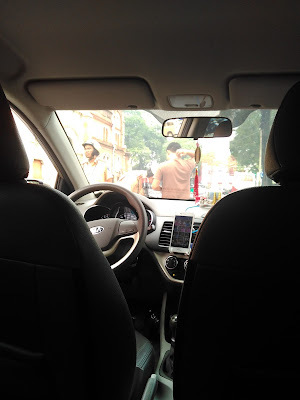 We were a little early, so I went the Uber option, which turned out not to be the best idea...but more on that after the review. 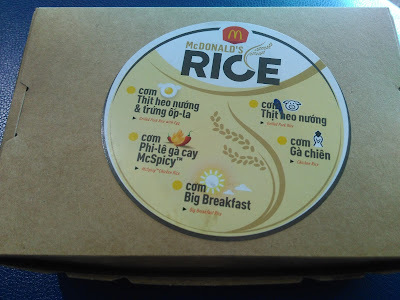 McDonald's Rice isn't completely new to me, but it's the first time I've had it in Vietnam, and being actual plain rice served with a side (rather than say a rice bun) it's actually the first time I've had it outside of Thailand. This however is the first time I've had it for breakfast, even if the same options are served throughout the day. 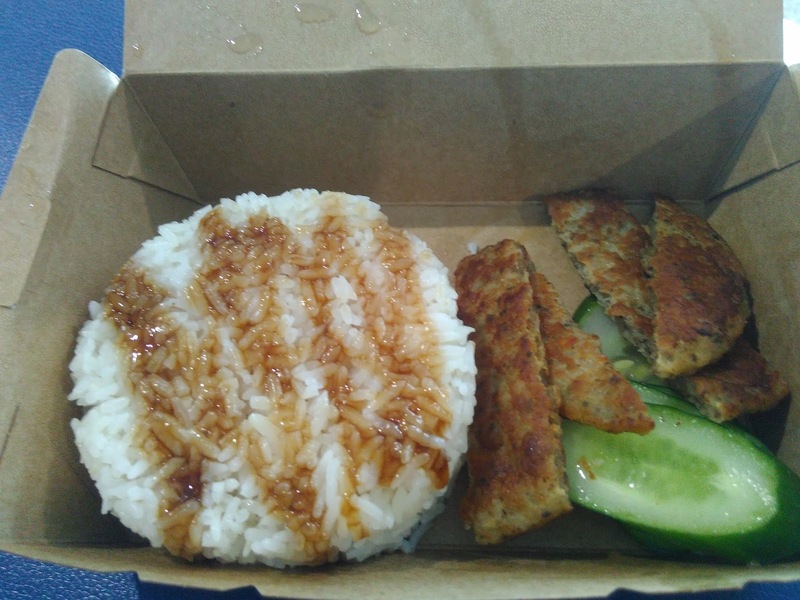 The other big change between Vietnam and Thailand is that even if you eat in they are served in the same paper box, rather than on proper plates with metal cutlery. The other big change is that the standard menu rice came pre-seasoned with something drizzled all over it (it wasn't mentioned what it was in any of the promotional imagery). 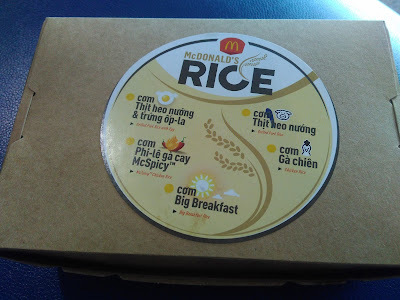 All the rice dishes also had an egg variant (just like in Thailand), but since I had two fried eggs at the hotel breakfast just an hour earlier, I passed on that as well and went for the cheapest option on the menu. They only had meat options available, Grilled Pork, or "McSpicy Chicken" to which long time readers will know I usually will go for the spicy option if I have the choice, but since it used a fried chicken patty and I wasn't interested in having fried food so early in the morning, I went for the sausage. 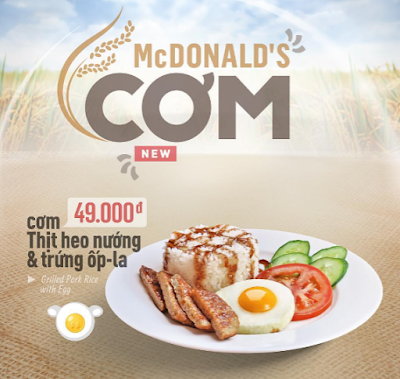 I knew from the Banh Mi sandwich I reviewed on my last trip that Grilled Pork would just be the McMuffin sausage patty and nothing that special. 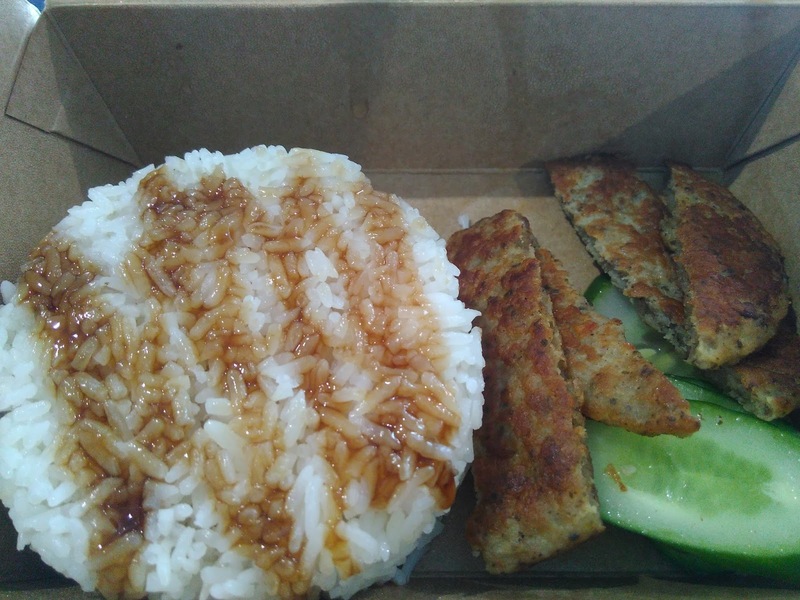 That said, I was still pretty let down when I opened the box to find the sliced patty next to the ball of rice and a single lone piece of cucumber. 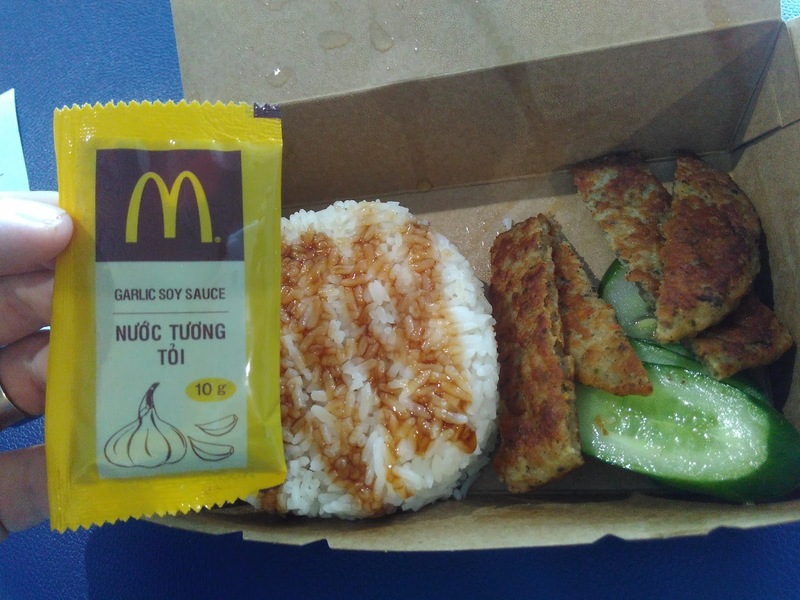 I don't really know why I expected it to look better, but it just seemed a bit boring, typically the Thai rice dishes stir fry the meat with some seasoning and not just cut up a patty into small pieces. The ball of rice was also surprisingly hard, and seemed like it might have been sitting in the box for a bit too long but it wasn't anywhere hard enough to be considered inedible. Even after ordering, on the box or in the store there was still no mention of what was actually drizzled over the rice, but since a packaged of Korean made Garlic Soy Sauce found it's way into the takeout bag together with my box, I suspect the sauce used was simply just more of that sauce. I actually didn't open the packet up (it came home with me) but it was salty enough and there was a noticeable hint of garlic. The rice itself wasn't bad (but really, how can you mess up rice?) but the already added soy sauce was too much sodium for me in the morning, so I ended up throwing out more than half the rice nor finishing the sausage which ended up being a bit too dry when eaten with the harder than expected rice. 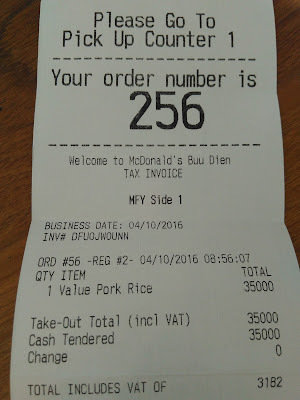 The Uber driver happily let me off (whilst The Wife stayed in the car) so I could hop into McDonald's to order the rice before continuing our ride to the airport. I was the only person ordering in the restaurant at the time, so I couldn't have been inside for more than 2-3 minutes. I came out to find police surrounding all sides of the car, and my driver already out of the car talking to 3 officers. I tried to explain that it was my fault, but the language barrier proved to be too much and our driver ended up with a ticket. It ended up being ~$13 so I gave it to the driver at the end of the ride, much to his protest and he was extremely apologetic even when it was 100% my fault. Just shows you how friendly some people are! 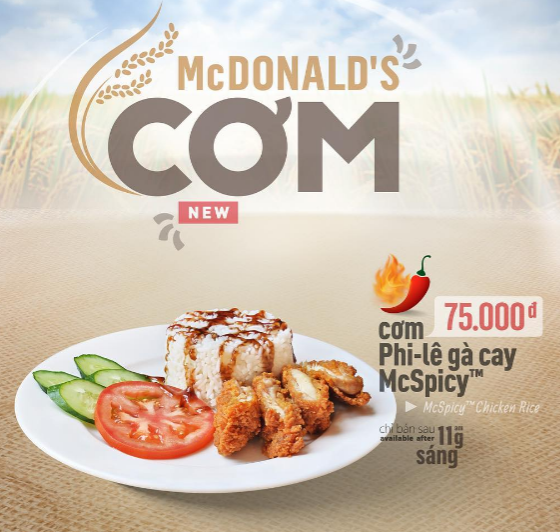 The Chicken variant not only cost more but maybe that increase in cost would also means it came with the tomato that the promo photos show. Cool post. I saw a McDonald's (near backpackers district) when I was there, but didn't go in. I heard that the Vietnamese were pretty excited about it when it opened and that somebody had there wedding there?